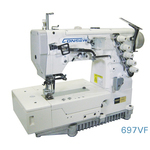 The problem with Yamata and other brand GK357B type coverstitch machines made in China is that they do not have the required looper-needle-GUARD which guides the needles so they don't skip stitches, hit the looper, or break the needles. We have asked for it but it never happened. 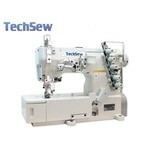 The GK357 machine is used primarily in overseas factories and workshiops where it has been set up by mechanics to work with specific applications, which do not require changing weights of fabrics and threads and needle sizes. That is why we say "You may need to send back the machine with your thread, fabric and needles for our mechanics to set it up and sew off for your particular application, so save the box and foam". 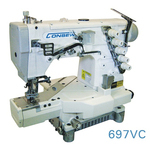 If you are using various weights of fabric and thread and different needle sizes, the best choices for coverstitch only machines would be Brother 2340CV, Juki MCS1500, or Gemsy Dragonfly in that order. John Douthat, Owner & Tech, AllBrands.